Ilfracombe is a beautiful town in Devon. It also has a working harbour which is popular with tourists, however, one tourist felt differently when faced with the sight of some dead fish and crabs by the harbour side. 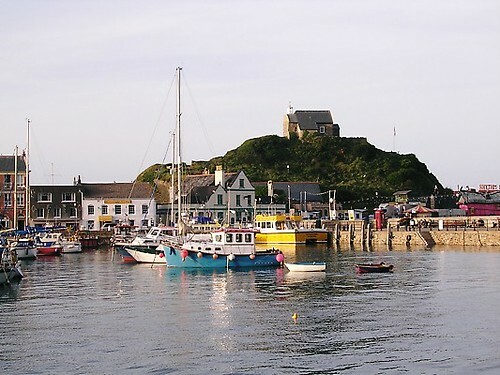 According to a report in the Telegraph, the holidaymaker was so disgusted by the sight and smell that he and his children, aged seven and nine, had to endure on their trip out, that he not only complained to the harbourmaster, but also the North Devon Journal! Apparently the ordeal left them all “quite distressed” and the holidaymaker demanded to know why the harbourmaster was not more considerate to the needs of tourists. The harbourmaster, Rob Lawson, tried to explain that fishermen depended on the daily catch for their livelihoods and that it was a common site on a working quayside. “He was very upset that he had come across the boxes of fish and thought it was entirely inappropriate and not a good sight or smell,” he said. “I explained the workings of the harbour and that it was a working quay and that while it was not ideal, sometimes this happened. Have you been to the Ilfracombe harbour? Has the smell put you off visiting or is it interesting to see how a real harbour works, (excuse the terrible pun) guts and all? This entry was posted on September 5, 2011, 7:19 pm and is filed under Articles, Devon, News. You can follow any responses to this entry through RSS 2.0. You can leave a response, or trackback from your own site.